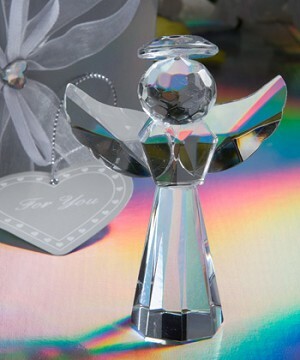 Stunning crystal angel 2.75 x 1.75 x 1" with many facets to reflect the light beautifuly. A truly magnificent favour presented in a satin lined box and tied with organza ribbon. If you want this item with confectionery and in a presentation box etc., please call.